The following is a description of how we handle new releases of the SAP Field Service Management Product. As we are consistently building new features, we would like to share with you how you can best use them and prepare changes. First, please be aware that SAP Field Service Management is a SaaS-based product, and all our customers run the same version of the software. The updates are completed on the same day for all customers, and they cannot be opted out of. However, many of these changes can be previewed and prepared for using the “Preview Program”, while others are “silent” (disabled by default). Major Changes and/or changes impacting the usage of an existing functionality: such changes undergo a “preview program” before being released publicly. 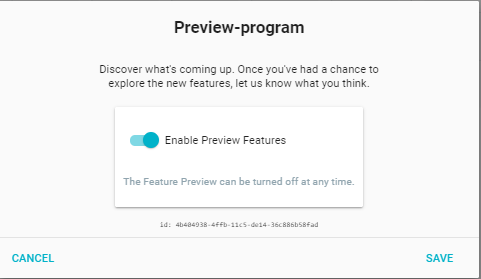 The Preview Program (see details below) helps you to adapt to new features and functionality and provide us with feedback. Any feature that is part of this program will be announced at least two weeks in advance. The following diagram depicts the lifecycle of a Product Change. To be notified of upcoming releases, please register to our Product Announcement by following this page. You can also regularly consult the Release Notes page, if you want to stay up to date on what we’ve released in the last version. Changes in the behavior of the Product and larger new features are available for users who opt to use the “Preview Program”. To know which feature is available in our preview program, consult the the following. 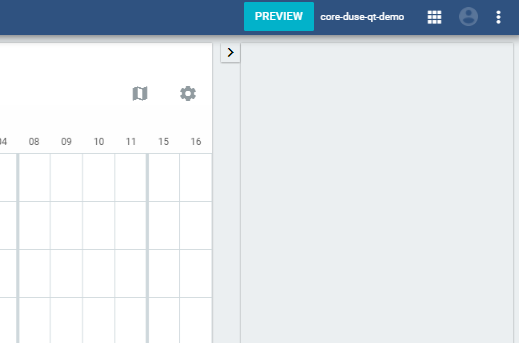 To register for the preview program, log into your Coresystems account, and navigate to the Workforce Management App. The application will then display the preview program dialog. Here, you can activate the preview program by moving the “Enable Preview Features Slider” to the right. When the preview program has been enabled, a PREVIEW indicator will display next to the account name. You will now be able to view and use features and functionality included in the preview program.